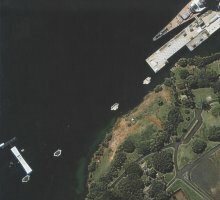 This four-meter resolution, color image of Pearl Harbor, Hawaii was collected by Space Imaging's IKONOS satellite on Dec. 24, 1999. 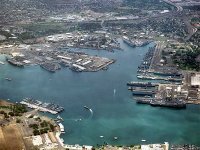 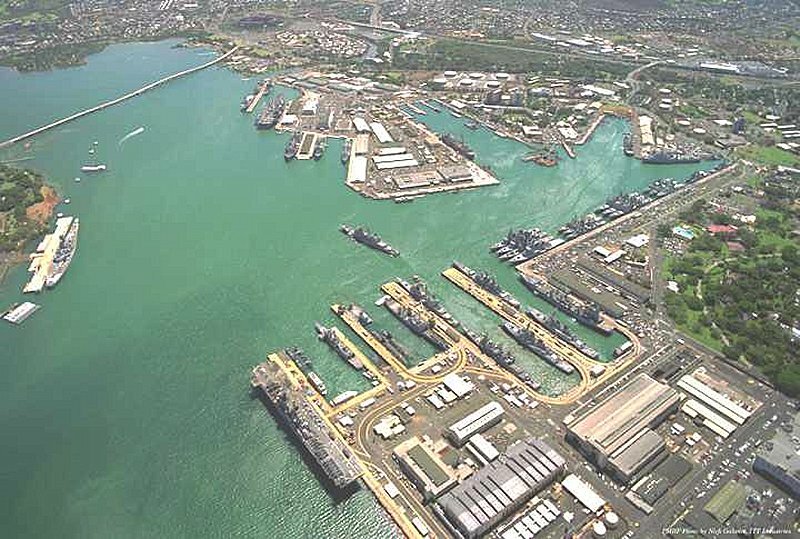 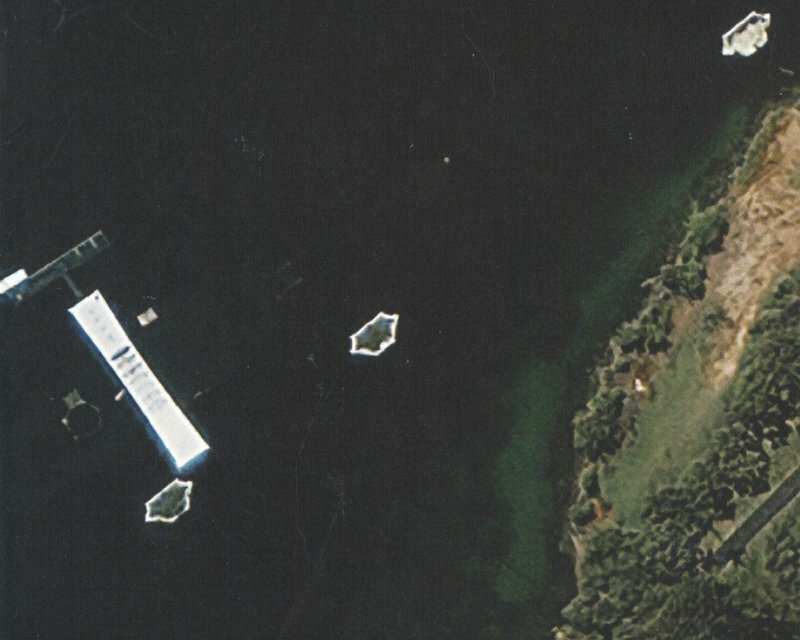 This is the first commercial high-resolution satellite image taken of Pearl Harbor Naval Base off the island of Oahu. 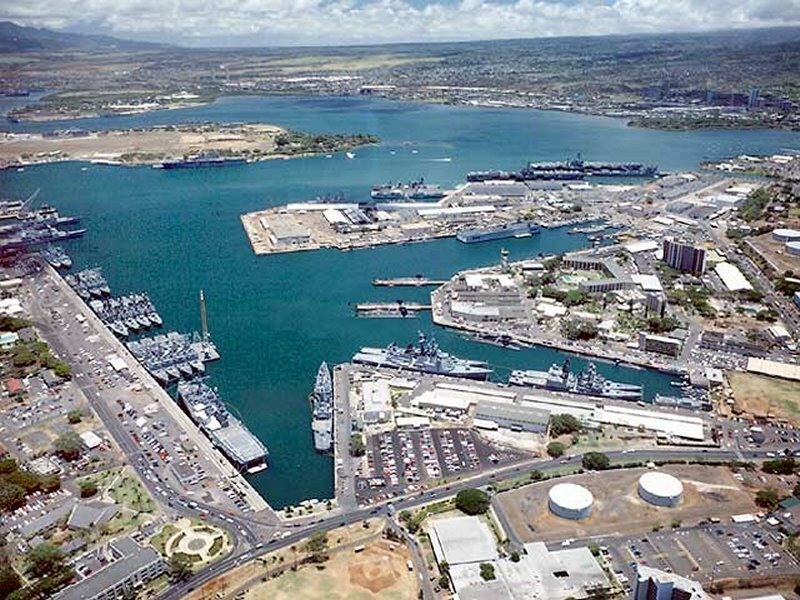 A key feature in the image is the USS Arizona Memorial, which straddles the sunken hull of the battleship. 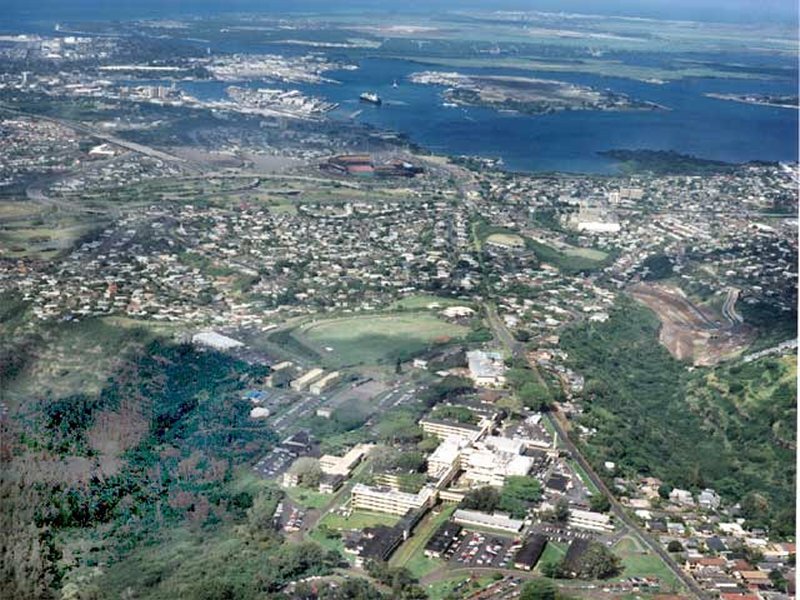 The Memorial was dedicated in 1962 and became a National Park Service area in 1980. 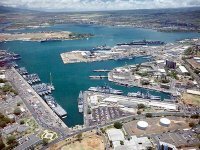 This image has been released by Space Imaging to commemorate this year's 60th anniversary of the attack on Pearl Harbor on Dec. 7, 1941. 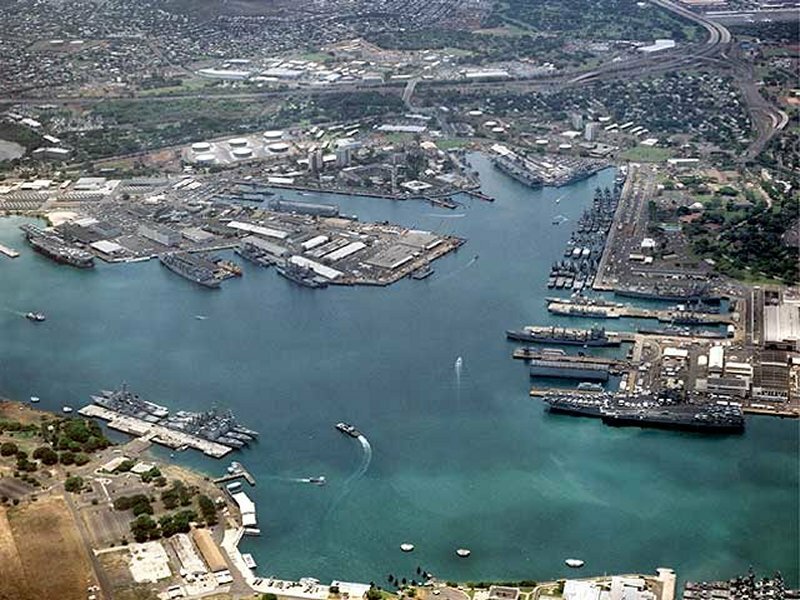 The blast that destroyed Arizona and sank her at her berth alongside of Ford Island consumed the lives of 1,103 of the 1,400 on board at the time-over half of the casualties suffered by the entire fleet on the "Day of Infamy ." 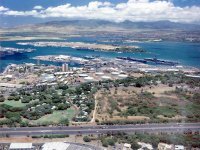 Placed "in ordinary" at Pearl Harbor on 29 December 1941, Arizona was struck from the Naval Vessel Register on 1 December 1942. 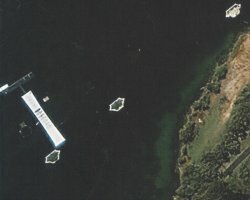 Her wreck was cut down so that very little of the superstructure lay above water; her after main battery turrets and guns were removed to be emplaced as coast defense guns. 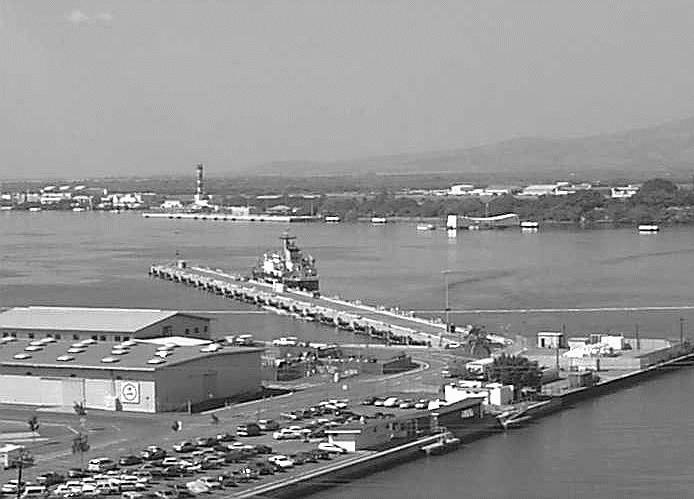 Arizona's wreck remains at Pearl Harbor, a memorial to the men of her crew lost that December morn in 1941. 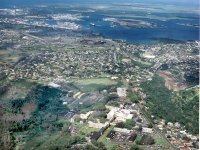 On 7 March 1950, Admiral Arthur W. Radford, Commander in Chief of the Pacific Fleet at that time, instituted the raising of colors over Arizona's remains, and legislation during the administrations of Presidents Dwight D. Eisenhower and John F. Kennedy designated the wreck a national shrine. 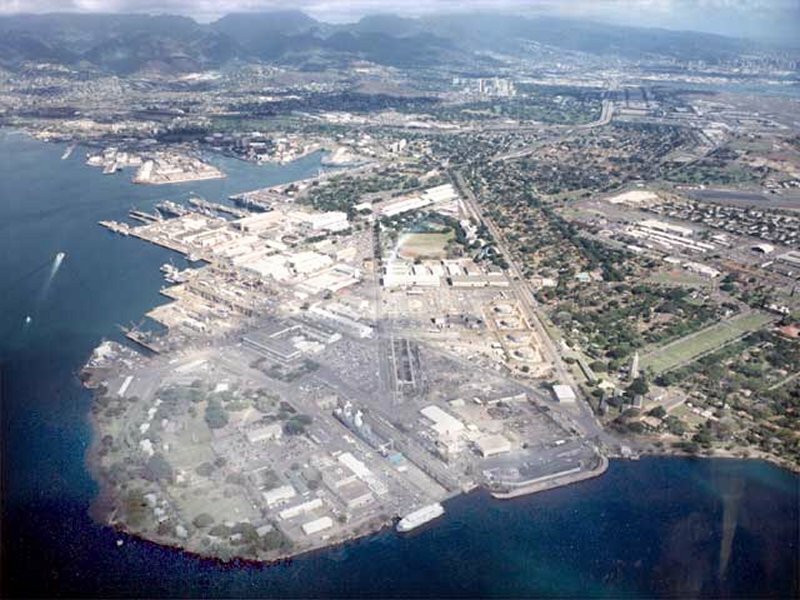 A memorial was built; it was dedicated on 30 May 1962. 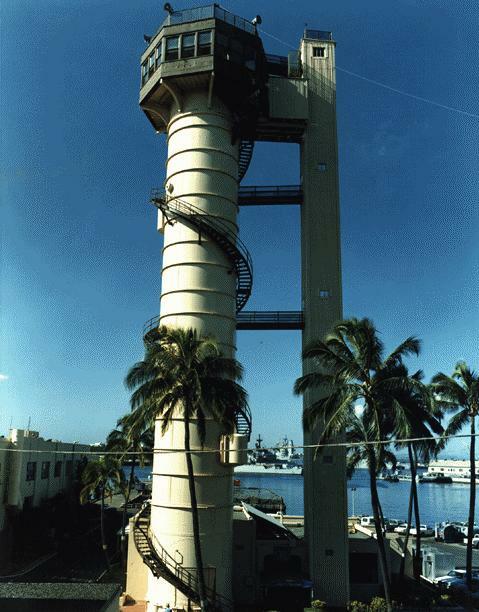 Prior to her dedication as a memorial, the superstructure was cut away and the scrap metal placed in a field at Waipio Point, Oahu. 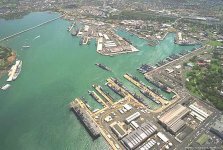 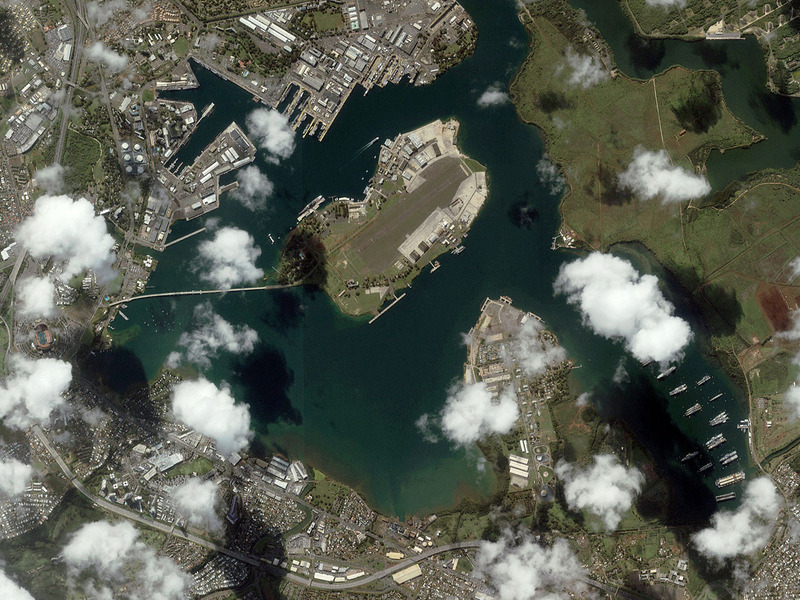 This color image of Pearl Harbor, Hawaii was collected by Space Imaging's IKONOS satellite. 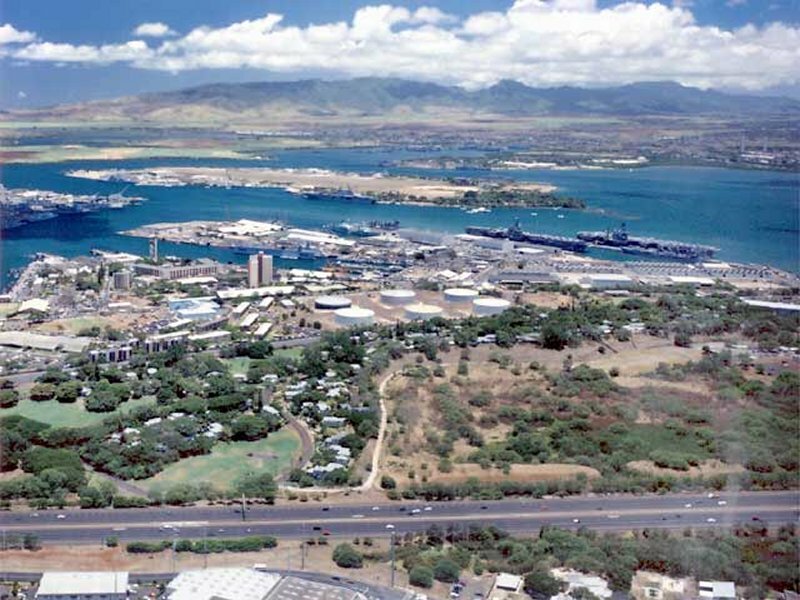 A key feature in the image is the USS Arizona Memorial, which straddles the sunken hull of the battleship. 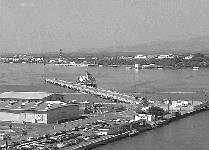 The Memorial was dedicated in 1962 and became a National Park Service area in 1980. This image has been released by Space Imaging to commemorate the 60th anniversary of the attack on Pearl Harbor on Dec. 7, 1941.